Born and raised in Hamilton, Ontario, Canada, William Allan graduated with a Bachelor of Arts degree from McMaster University and a Bachelor of Journalism degree from Carleton University’s School of Journalism. He moved west and started a career with newspapers that lasted nearly 30 years. Most of that time was spent at The Leader-Post, the daily newspaper in Regina, Saskatchewan. He retired in 2008 and lives with the love of his life Abby Ulmer and their cat Toby in Regina. 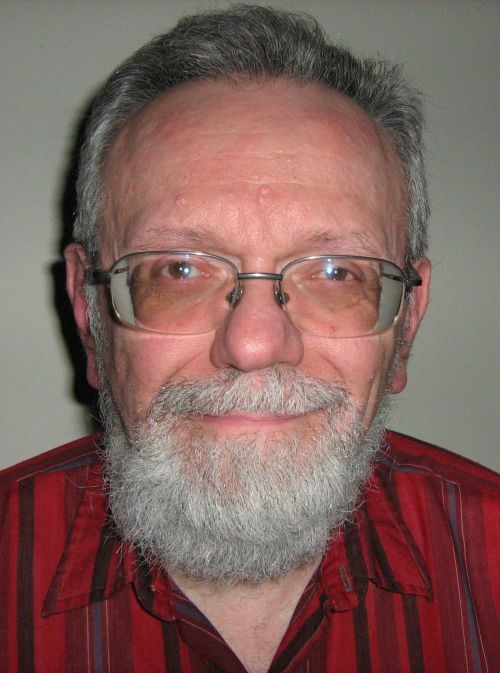 William self published his first book, Four Murders in a Small Town, a short fictional crime story, in 2016. William followed that up later in 2016 with How to Self Publish Inexpensive Books and Ebooks, which he wrote after his trial and error ordeal getting his first book printed and sold. He wanted to help first-time authors avoid that and help them choose a publisher and sell their books within their budget. He also researched the many printers and publishers in order to expand his second book beyond just his own experience. In early 2018, William wrote Justice Preserved, a collection of 12 fictional crime stories. He also wrote and published, in spring 2018, a fully updated U.S. edition of his second book to try to help American first-time authors get published. Will William write and publish more books? “Living on a fixed income, it would be a challenge to publish another book,” he said recently. “I’m using my royalties from my first two books to help pay the cost of my two 2018 books.” William’s book publishing future is unclear. “How to Self Publish Inexpensive Books and Ebooks: U. S. Edition is a very thorough guide which will walk you through the process carefully, step by step,” says a five-star review by Emily-Jane Hills Orford for Readers’ Favorite. “From editing, to layout and cover design, to the actual decision of whom to trust, and then the final process of marketing and getting the book recognized by readers everywhere, this author has answered all of your questions and more. There are lists of trustworthy book and ebook printers and publishers … in the United States, including rough estimates of fees charged and links to their sites … There are also lists of sites that will review your book and the fees. ”The review concludes: “A very useful guide and a must-have for anyone considering the self-publishing book and ebook process. ”There are many books telling you how to self publish your book for less than $100 or virtually free. They recommend CreateSpace or IngramSpark. Or Smashwords for ebooks. You can do that, but you will get a book that will look like it was self published and not a professional product that will compete with books from traditional publishers. William Allan’s new book will tell you why you need and how to get professional editing, cover design and page layout. 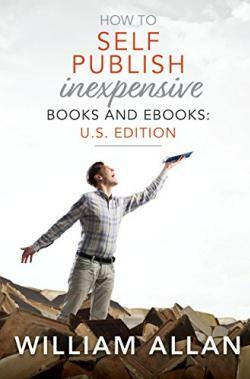 The book tells you where you can publish your manuscript and get online distribution for as little as $245. It also tells you which three publishers offer extensive marketing and promotion with every proposal they issue to authors. Allan’s book lists 12 reasons to self publish your book and 25 ways to market your book. The title of this book emphasizes it is aimed at finding inexpensive, quality book publishers for authors so they can market their book with confidence. With the marketing advice in my book, those authors will know their book has a far better chance than most of finding an audience and being successful. There are no guarantees in the book publishing industry today. Allan cannot and will not guarantee your book will sell thousands of copies. What he can guarantee, if you follow the ideas in this book, is you will enter the market with a book that has all the prerequisites for success. Whether it is successful depends on your marketing efforts and, truthfully, some luck. But you will be preparing to market a book people will want to read rather than a book they will be sorry they purchased.